A POOL! We have just completed the construction of a plunge pool in a very secluded area of the garden. This means great protection from any wind and the water is sure to remain a pleasant temperature. Great access to the beach and secure parking for one car. Private entrance and private entertainment outdoor area. I am always available to assist guests and to suggest places to see. Great surfing and bodyboarding. Take long walks along the beach and spot the whales breaching. Great surfing and bodyboarding. Take long walks along the beach and spot the whales breaching. Or go on long hikes. The Cottage is spacious and comfortable. Secure parking for one car. Remote controls for both vehicle and pedestrian (website hidden) with full Dsat. Excellent wifi access. The Cottage is luxurious, spacious and well appointed. Recently renovated, it now offers two bedrooms each with a full bathroom. A lounge area for relaxing sundowners. Secure parking behind electronic gate. Generous wooden deck. Alfresco dining is under cover. There are three golf clubs less than 20 min drive. Arrangements to play at these clubs must be made by the guests themselves. Happy to advise that construction of a plunge pool is completed. The pool is in a very secluded spot in the garden - thus no wind and fantastic water temperature. Beautiful house with top notch service! The house was clean, well maintained and in a beautiful location. The house had every facility you might need including a new pool and a lovely area to have a braai. Very close to a scenic beach and well situated in between the different attractions in the Cape Town area. On top of that the house always felt safe and secure and the area around it was likewise. Apart from the fantastic accommodations, the customer service shown by the host was what really set our experience apart. Every day our host would give us recommendations on what restaurants and attractions to visit based on what we mentioned we would like to see. These recommendations as well as the host's experience with the area helped us make the most of our visit. Besides the customer service our host was always friendly, polite and helpful which was truly appreciated. We would strongly recommend this house to anyone and we would like to thank Corne for being such a wonderful host. First I have to thank Corne and Louise for the uncomplicated management of reorganizing a double booking. Everything turned out well with staying in Kommetjie close to our family. Corne and Bill are wonderful hosts. They made us feel home. We enjoyed our stay in this new and modern house with great views from the terrace. Of course it was very clean, towels including beach towels have been available and changed regularly. The kitchen is well equipped, the fridge with its ice machine was my brothers favorite. The beach is very close and invites for running or long walks. Thank you again for the lovely home you gave us. Thank you for the brilliant comments. Really hope to see you and the family soon. The cottage was perfect for our long weekend away with bicycles. 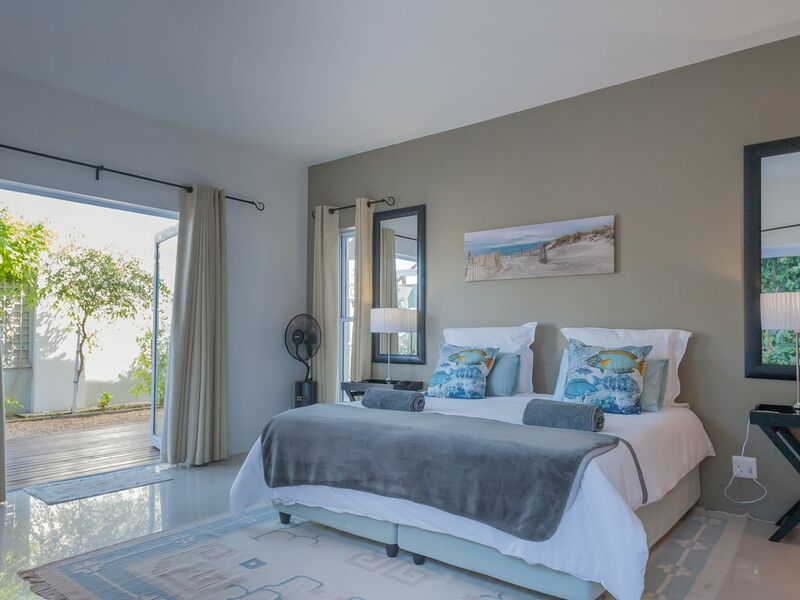 It's ideally located near Cape Point and the climbs over Ou Kaapse Weg. The accommodation was immaculate and I've been recommending Greenways to anyone interested in Cape Town. Thank you so much for your kind comments and it was wonderful to have you here as our guest. The Cottage was a wonderful choice; spacious, very neat and a wonderful deck for Alfresco dining. The host were extremely helpful in suggesting sightseeing venues. I definitely recommend the cottage for a relaxing, luxury holiday spot. thank you very much to Corné and Bill for two wonderful weeks, a great service and many, many good ideas what we can do and where we can go. Guests need to hire a car. Otherwise a Taxi service is readily available but it does become a costly affair. There are wonderful cycle routes from here.